It’s been several difficult years since Nov. 8, 2013, when the Philippines braved the strongest storm ever recorded, and took the brunt of Typhoon Haiyan, the deadliest Philippine typhoon to date. 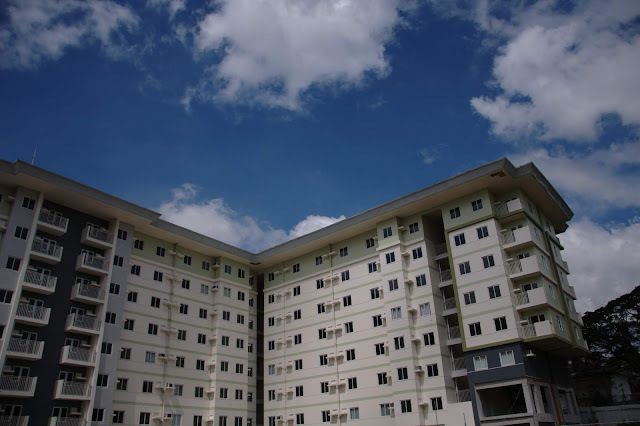 As the typhoon swept through Samar, Leyte, Cebu, Capiz, Negros and Northern Iloilo, it left in its wake 6,300 dead, and cities such as Tacloban in a brittle heap. According to reports, an estimated 16 million people were affected by Typhoon Haiyan, 4.1 million people were displaced, and 1.1 million houses were damaged after the devastation. 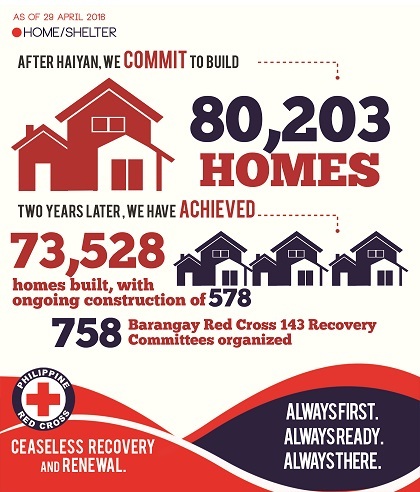 Rebuilding the cities,especially Tacloban, and helping the communities bounce back from such devastation was a challenge. 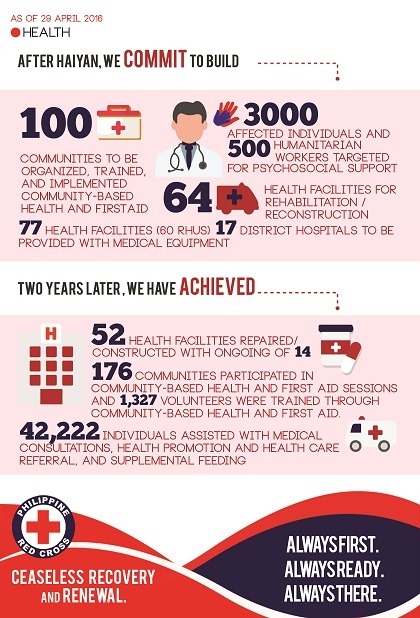 It was a difficult task, but not an impossible one for the Philippine Red Cross (PRC). 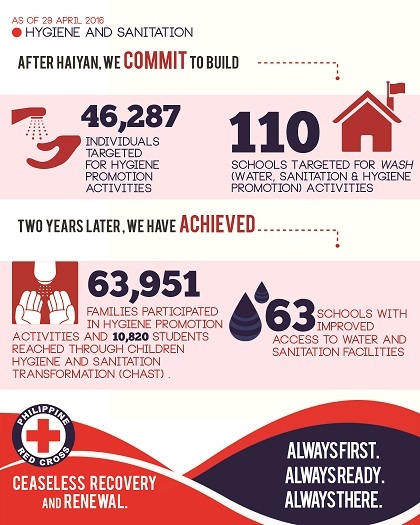 Approaching Haiyan’s third anniversary, the PRC proudly shares its progress.